NHS England has set out plans for primary care networks (PCNs) with the ambition of them covering the entire country by June. The networks are to be based on GP registered lists, will serve communities of 30,000 to 50,000 people and should be ‘small enough to provide the personal care valued by patients and GPs, but large enough to have impact and economies of scale through better collaboration between practices and others in the local health and social care system’. The NHS Long Term Plan launched at the start of this year set out £4.5 billion of new investment to fund expanded community multidisciplinary teams, described by NHS England as an ‘army of 20,000 more staff’ such as GPs, district nurses, pharmacists and staff from the social care and voluntary sectors. The teams will be aligned with the new PCNs requiring GP practices to work together. A new five-year contract for general practice across England announced at the end of January is expected to see huge extra investment for improved access to family doctors and expanded services at local practices. According to NHS England, individual practices will enter into a network contract as an extension of their current contract and should have a designated single fund for PCN resources. RCN head of nursing practice Wendy Preston says: ‘Greater integration between health and social care should become more regular with a focus on keeping people out of hospital, preventing ill health, and keeping them healthier and happier for longer. ‘As well as giving people a greater quality of life, this saves our healthcare system money in the long run. ‘But the success of these networks relies on having a fully funded workforce. The number of district nurses employed by the NHS, the backbone of community health services, has almost halved since 2010, and the number of community nursing staff overall has dropped by 15%. NHS England claims general practice will benefit from the impact their work has on reducing avoidable emergency department attendances, admissions and delayed discharge, and from reducing avoidable outpatient visits and improvements in prescribing through medication reviews. However, the King’s Fund has warned that it is critical that PCNs are not set up to fail by taking on too many tasks too quickly. Nuffield Trust senior fellow in health policy Stephanie Kumpunen says that the networks are included in ambitions to create fully integrated community-based health and care services for the first time since the creation of the NHS. ‘It is likely that many GP networks and federations will welcome community teams, including nurses, into their practices and recognise the added value and skills they bring. 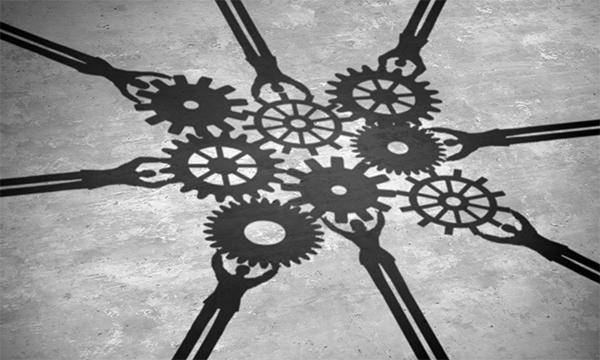 She warns that implementing integrated team working can be challenging: ‘Substantive effort will need to be put into building relationships and trust in the new integrated teams. ‘It will be important for primary and community teams to promote inspiring leaders regardless of all professional backgrounds, as well as develop learning cultures that overcome traditional professional boundaries. ‘Other enablers of day-to-day working will include approachable and engaged service management and clear accountability structures. 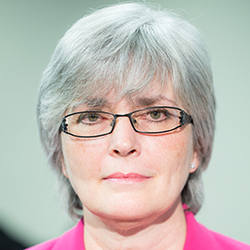 Queen’s Nursing Institute (QNI) chief executive Crystal Oldman believes there are ‘exciting opportunities’ for nurses working in primary care and community services to take on the leadership of PCNs. The QNI offers an executive nurse leadership development programme for nurses working in a variety of executive roles in the community and primary care. Dr Oldman thinks the programme would be ideal to support a nurse moving to lead a primary care network. The first two cohorts of the programme were open only to Queen’s nurses but in this year will be open to all applicants. Dr Oldman has been supporting the development of the primary care home programme for the past four years sitting on the National Association of Primary Care (NAPC) technical advisory group and says she has witnessed first-hand the difference this kind of model can make. NHS England chief executive Simon Stevens launched the primary care home programme in October 2015, NAPC has 220 primary care home programmes across England which it believes is spearheading the transformation of integrated primary care. She adds that the NAPC is working closely with NHS England to improve access to leadership development opportunities for general practice nurses in primary care homes and other PCNs. ‘There are a number of strands to this work including continuing to raise the profile of general practice nursing through our Nurses' Voice network, identifying nurse leaders in our primary care home sites and by working in partnership with NHS England through ICSs on developing nursing leadership roles. Debbie Brown, a Queen’s nurse and clinical director of NHS Lewisham clinical commissioning group says that PCNs are enablers for general practice nurse leadership which can develop from one or two practice nurses to whole teams of clinical and non-clinical teams coming together. Ms Brown was part of a recent session held by the NAPC about nurse involvement and leadership in PCNs and spoke to practice nurses who were part of a PCN. ‘They said it was great for the nursing team as it was the first time they had worked with other nurses from single practices, they have been able to share and learn together, have peer support, increase their competencies and have witnessed improved patient care. Ms Brown believes that pay, terms and conditions is still a huge discussion around PCNs and due to the variation in general practice nurses’ wages some, who are earning more than others within the PCN, may have to accept a lower salary to align with other nurses in the network. However, she adds, this will also benefit those who are on a lower than acceptable salary for their role, skills and competencies. Angus Murray-Brown, chair of the South Manchester GP federation and deputy chair of the Manchester Primary Care Partnership says Manchester has had its embryonic PCNs in place for over a year. Dr Murray-Brown explains: ‘The city is currently divided into 12 neighbourhoods ranging from 30,000 to 70,000 people. ‘The neighbourhoods do not all have the full gamut of extra services as described in the new GP contract. ‘However, like the rest of the country we are looking at our options. In many ways the new GP contract will actually need new structures created – we think practices will want direct oversight of the networks – otherwise you run the risk of handing future control to external agencies, an action which could threaten independent general practice. ‘Although the contract says GPs will be the clinical directors, we feel this is short-sighted as there may be reasons why practice nurses may be better suited to the clinical director role in some areas. We expect this rule to be relaxed in the full guidance. An NHS England spokesperson says: ‘We have seen that where PCNs are successfully up and running across the country there are clear benefits for patients and staff. Pioneered in New Zealand, HealthPathways (HP) has been piloted in the UK in South Tyneside, with the University of Sunderland evaluating its impact and potential to be rolled out nationally. HP acts as a central online source for hundreds of care pathways for specific conditions, which have been developed locally and are designed primarily for general practice teams, but are also available to specialists and other health professionals in the region. Each pathway is evidence-based and reflects national standards of care. Tailoring information to reflect local services means that it will be easier for practitioners to identify what is available to support patients and determine their criteria for referrals. 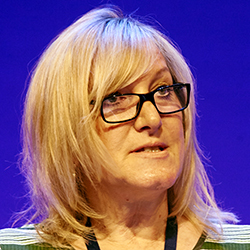 Joy Akehurst, who led the research into HP and was previously a senior nurse in primary care, community nursing and acute nursing, said an early evaluation of the South Tyneside programme showed that doctors, nurses across primary and secondary care, and primary care staff found the agreed pathways of care clarified evidence-based practice and referral routes to secondary care or alternative providers.